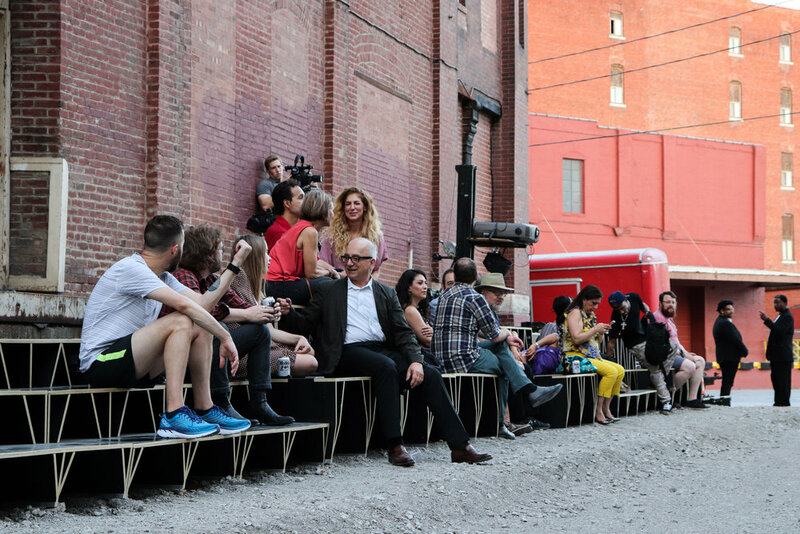 As part of a larger strategy for the system of public spaces in the West Bottoms, West Bottoms Reborn selected three sites for the detailed design study and development. 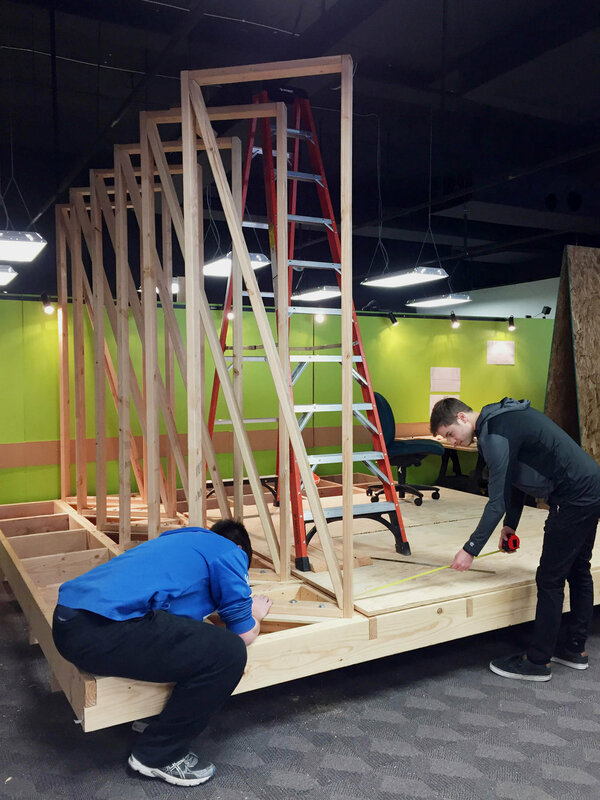 In order to test the viability of design proposals, the design team chose to activate these sites through temporary installation of prototypical design elements focusing on urban furniture, and programmatic and functional infrastructure modules. 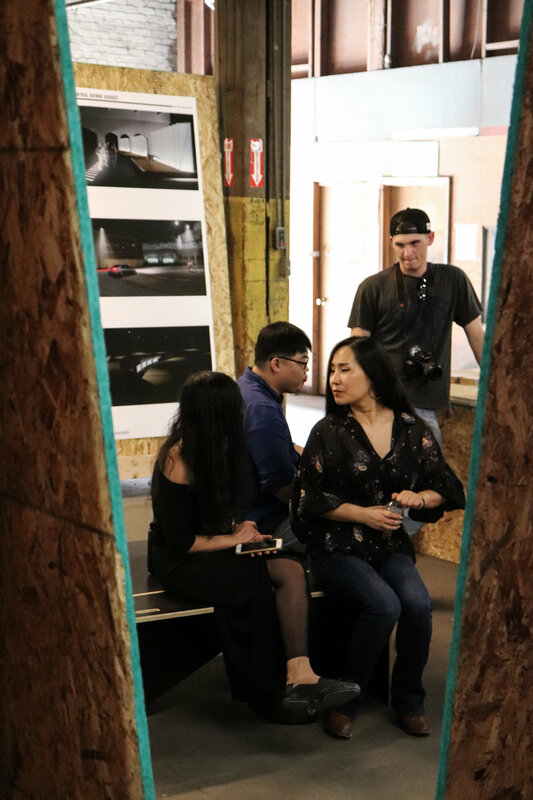 The KCDC activated project sites with prototypical public space interventions and invited the public to explore these activations, and experience our vision for public space in the West Bottoms. The western part of the West Bottoms, in Kansas, has remained more industrial relative to the rest of the area; its nature undisclosed by industry within isolation, neglect, and abandonment. During the day, the Central Avenue Viaduct is buzzing with heavy automotive traffic, semi trucks and concrete transports make up a large portion of the activity. In between the cycles of industry, a peculiar community thrives in this strange environment. The design for public space at the Central Avenue Viaduct expands on urban exploration and experimentation that takes place surrounding active and ruined post-industrial fabric. Platforms designed for the largely unused and intimate area underneath the viaduct bend are intended to provide surface for people to experiment and engage in the curiosity of phenomenon which the platforms are derived from. The platforms are open-ended and viscerally powerful. Public space in Liberty Courtyard is somewhat unconventional. Loading docks line the base of warehouses, and an odd grid alignment with the trains' turning radii has made the brick facades rise in unconventional angles. The design for public space captures some of these qualities by using a water management system that frames the space within the urban fabric by the strategic use of a green wall. 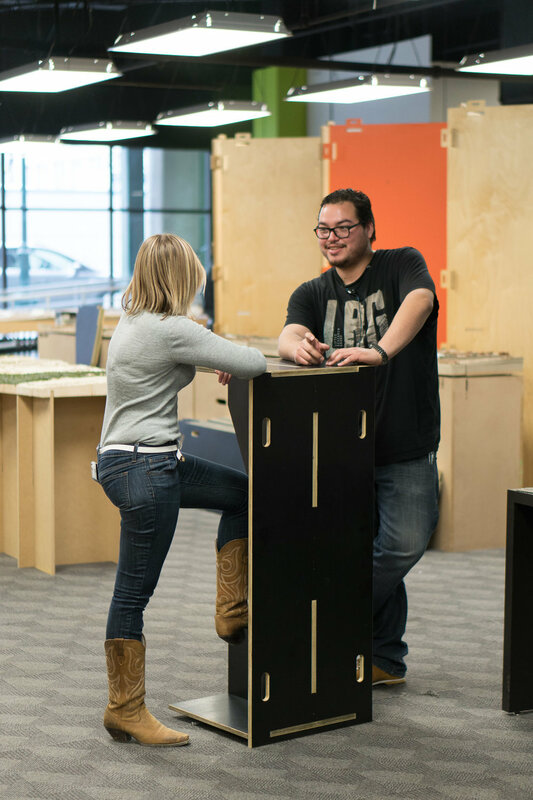 This allows for a more pedestrian and green atmosphere that retains its service functionality as a design imperative. The loading docks are a dominant interface between public space and buildings in the West Bottoms. They are still heavily used for servicing the buildings yet often these are also places that we experience the outdoors here like so many industrial verandas. 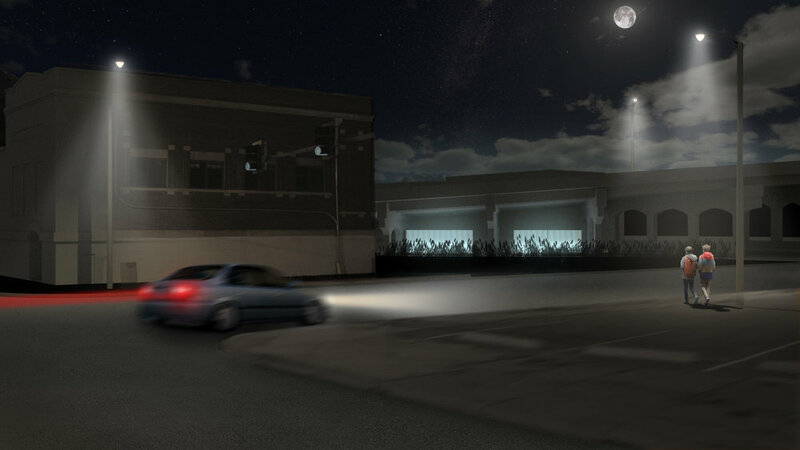 In order to see loading docks another way, the West Bottoms Reborn team has designed dock units that resolve code issues between City policy and the West Bottoms to avoid ramps and railing. 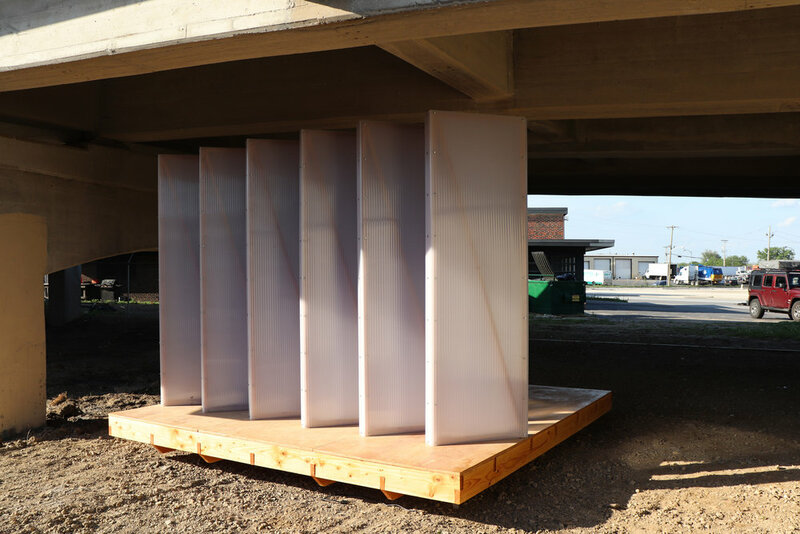 These modules are placed next to the docks, changing the height difference between the dock and the ground, retaining the functionality of the loading docks while amplifying the ability of the experience on the docks. Alleys are some of the most interesting and intimate experiences within the city; they limit our perception to a narrow band between two adjacent formations. 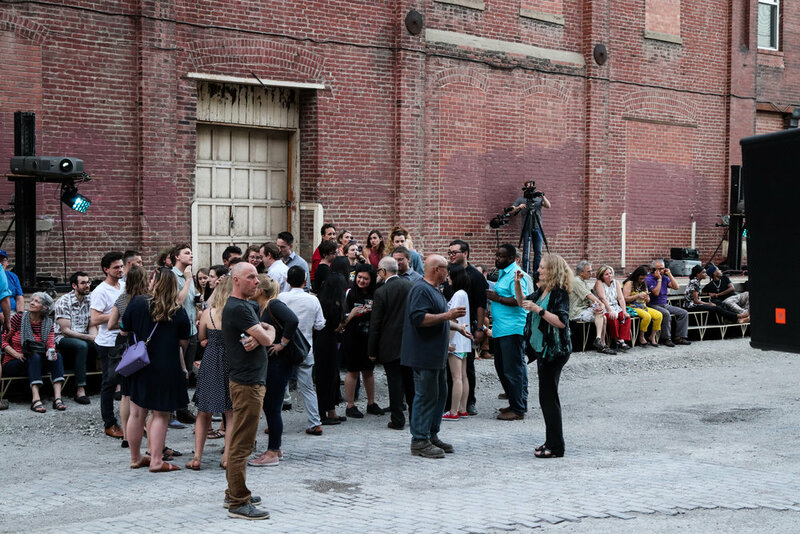 In walking through the alleys in the West Bottoms, our awareness of a history is heightened through the rhythm of odd and sometimes missing structures. Yet this history is not a continuous one, nor one of immense care for the built environment. 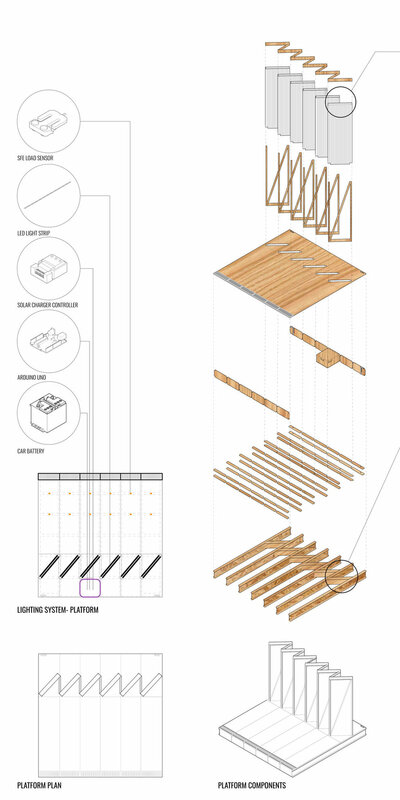 Designed as an infrastructural experience that reflects the verticality and rhythm of the alleyway, the 12th St Alley design features a trough which is intended to capture water from downspouts into cisterns and organized infiltration areas and, in-turn, reflect the unique space via the collected water. A small section of the final design for the trough was built for the alley. The water within it calls us to reflect on ourselves and the built environment. 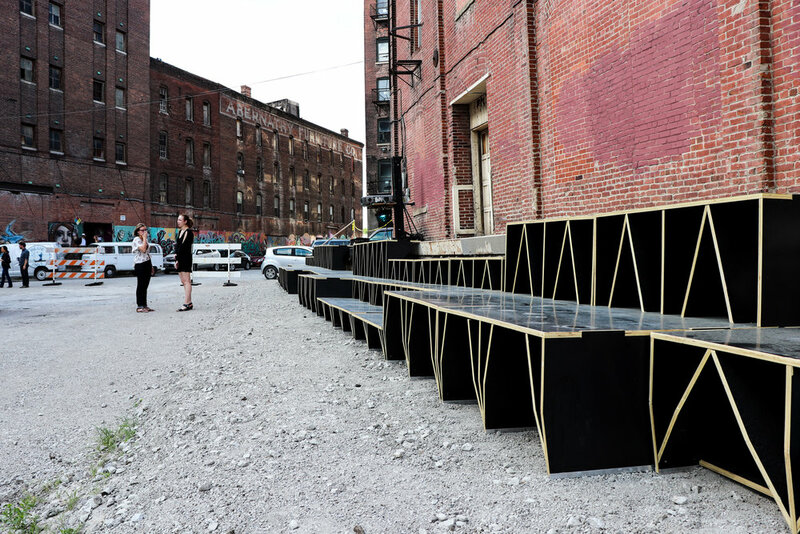 These simple, CNC cut benches are designed to be free-floating and aim to strategically tackle the rough and gritty terrain of the West Bottoms through contact points intended to operate as both a bench and (when the modules are combined) a table space.